We've got great promotions going on at The Sunbird, and we don't want you to miss out! Earn DOUBLE loyalty points every Wednesday beginning August 19th. Not a loyalty member? No problem, click HERE to sign up and start earning rewards! That's right, Thursday's call for karaoke on the Patio 6pm-10pm! Not to mentions Happy Hour available all night! 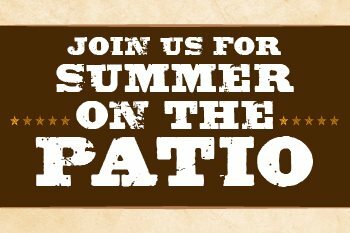 $10 Burgers, Brews & Views available 5pm-8pm and Live Music on the Patio available 7pm-10pm, and don't forget $6 House Sangria! Get the detail on our Summer Promotions HERE!